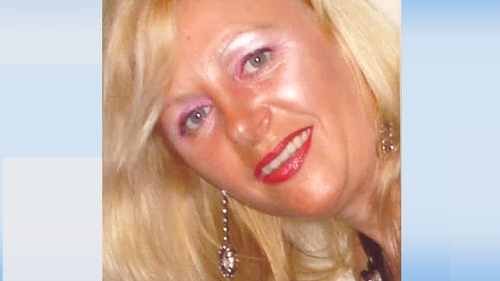 The husband of missing woman Tina Satchwell has appealed to his wife to make contact. Richard Satchwell told RTÉ News that all he wants is for Tina, or anyone with information, to get in touch. Mr Satchwell, whose 47-year-old wife went missing from their home at Grattan Street, Youghal two years ago, says he has endured two years of sadness, misery, hurt and abuse. Appealing directly to his wife, Mr Satchwell said: "I'll never stop loving you. My arms open and always will be until I draw my final breath. "The hurt and pain I've had to endure these past two years - at times, I almost find them unbearable. Please just make contact. "To my lovely, loving wife, here is a picture of our babies (dogs) on Christmas morning. Still being loved as you can see. Love Richard." Mr Satchwell's appeal comes on the eve of the second anniversary of his wife's disappearance. Investigating gardaí also renewed their appeal for information. In a statement they said that the two year investigation has seen them follow 330 separate lines of inquiry, view 100 hours of CCTV footage and take around 100 statements. They have liaised with colleagues internationally and with Interpol. With assistance from the Defence Forces and specialist Garda units, they have carried out searches both in Youghal and at Mitchel's Wood, near Castlemartyre. But there remains no sign of Mrs Satchwell who is described as 1.70m (5'7''), of medium build with blonde shoulder length hair and blue eyes. This evening, Mrs Satchwell's family also renewed their call for information. Speaking to RTÉ News, Mrs Satchwell's cousin, Sarah Howard, said they still have not heard anything from her and are anxiously awaiting news of her. Ms Howard said she is mentally drained from worrying about what has happened to her cousin, and fears the worst and appealed to the public for help.